Bossman screeched through the intersection, car tilting on two wheels, as he glanced at the car radio. 9:59. Best Buy would be open in one minute! "I'll never make it in time!" he thought to himself. The thought entered his mind of watching a grandmother pushing her walker across the parking lot, with the last PSVR tucked neatly in her carrying basket for her grandson Billy's birthday party this weekend. "I'm going to have to mug a grandmother, it's the only way. Billy will understand. This is for the best." The store was in sight now, that big blue and yellow sign growing closer. The clock ticked 10:01 as his car came to a rolling stop on the sidewalk in front of the store, Bossman jumping out and crashing into the store, pushing over a toddler and sprinting for the gaming section. He would have ordered on Amazon if not for the four-day anticipated back-order. That just wouldn't do. LAN Mobbers need this technology today! As he approached the gaming section he noticed there was no crowd gathered, no punches being thrown or ankles bitten. In fact no people at all. "I missed it. They must have opened early. Gone! All gone!" He rounded the corner and there it was, a single PSVR bundle box sitting on the shelf at the edge of the gaming aisle. One left! And nobody in sight! "Are you looking for the PSVR?" asked a voice in the distance. "NO IT'S MINE YOU CAN'T HAVE IT!" Bossman exclaimed as he dove on the last box, rolling behind an Amiibo display for cover. "Here take one of these," the voice called back as Bossman looked up at the Best Buy employee on a ladder, with a stack of 10 more PSVR boxes behind him. "Uhhh, right." He stood up, dusting himself off and placing the PSVR back neatly on the shelf. "Have you had many sold this morning?" he asked. "Nope, you're the first one. We'll probably sell more around lunch though. Good thing you got here early!" You're lucky, Billy. Enjoy your PSVR and give your grandmother a hug. 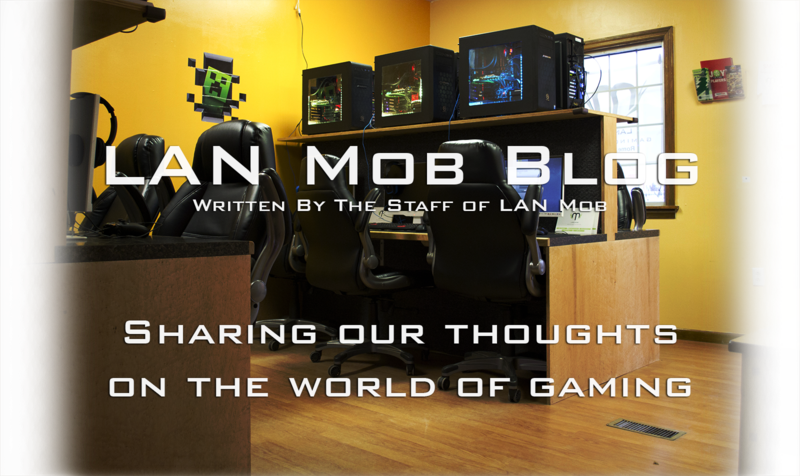 One of the greatest advantages to working at LAN Mob is we get to try a lot of technology early and consistently. Whether it be breakout tech like the HTC Vive or simply games I normally wouldn't have access to (League of Legends with NO LAG!) we're very up to date here in the center. Thanks to Bossman's intense quest yesterday, we were given a new toy to mess around with and prepare for the Mobbers. PSVR! Enrique and I were charged with getting the PSVR open and hooked up in the shop, a feat we were more then happy to accomplish so we could get it up and running for Mobbers to try (and take it for a spin ourselves). We were both very surprised to see that there is A LOT that goes into setting this thing up. 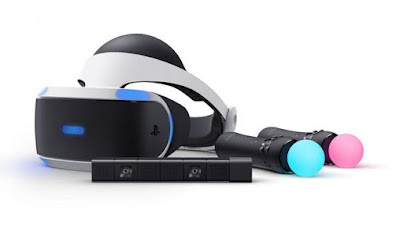 The PSVR comes with the actual headset, 2 PlayStation Move Wands, a PlayStation Camera, and something Sony has titled the "processor unit". All of these components come with a plethora of wires and instructions, and while this much content was a bit daunting at first, with team work and patience Enrique and I managed to hook up the PSVR in a good spot, avoiding creating a spaghetti monster of wires. I really have to give it to Sony, creating a VR headset of these caliber while keeping wires and requirements to a minimum is very impressive. Once the PSVR was physically ready to go, I started to orient myself with it. If I had to say ONE great thing about the virtual reality apparatus is the headset is amazing. Not only is the headset visually pleasing, it's incredibly comfortable. Honestly, I would have to say it is more comfortable than the HTC Vive. The headset has a multitude of buttons and customization to make sure the headset is comfortable for the user with minimal effort. This is great for a LAN Center as it allows us to readjust quickly and effortlessly. Unlike the HTC Vive the PSVR does not include a general tutorial mode, so orienting myself took a few minutes, but nothing unrealistic. One of my favorite aspects of the HTC Vive is that you can see your remotes in your headset, but this is not the case while browsing menus in the PSVR, so that also took a bit of getting used to. Ultimately, with our help, getting accustomed to the PSVR and navigating the menus and various content is easy and the Mobbers should have an easy time adjusting the the virtual world on PS4. Unfortunately, I spent a grand total of 15 minutes actually playing games in the VR, but what I did play was a lot of fun. The PSVR Bundle came with a game showcasing the abilities of the PSVR titled, "PlayStation VR Worlds". There are a multitude of different arcade style games wrapped up in the showcasing package, two of which were "Street Luge" and "Danger Ball", which were what I got to play. Street Luge is exactly as it sounds, extreme luging...in VR! Danger Ball is sort of like a very futuristic game of Pong. Both of these titles utilize the PSVR's headset tracking to create an arcade style title focused on showing exactly what the PSVR is capable of, forcing me to contemplate the future possibilities. PlayStation VR Worlds - As described above, PSVR Worlds boasts a plethora of short arcade style titles showcasing the strength of PSVR. Batman: Arkham VR - Batman in virtual reality. It really doesn't get better than that. Battlezone VR - Experience first person VR tank combat across neon scarred sci-fi landscapes in an explosive 1-4 player campaign. Built from the ground up exclusively for PSVR. Thumper VR - Being reviewed as one of the strongest PSVR applications currently, Thumper is being described as a "rhythm violence" title. Thumper not only managed to create itself a brand new genre, it does it very well. Molding the expected rhythm formula with fast paced immersive action. Check out the trailer below. PSVR time can be purchased at double our normal hourly rate - $8/hour or $20 for 3 hours. Come give it a try and experience the future of gaming here first!